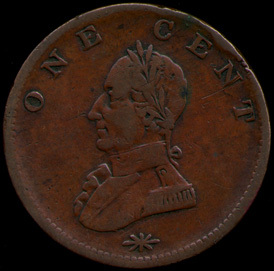 Comments: This coin is listed by Vlack as 28-Y and by Fuld as WA.NC.1783.24. 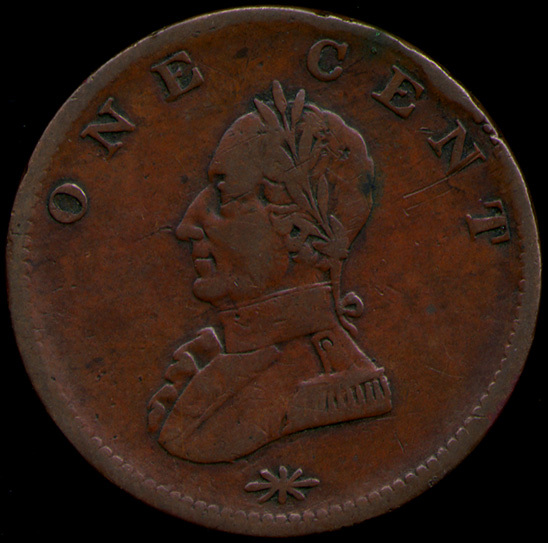 Note the obverse bust is closer to the legend than the reverse. 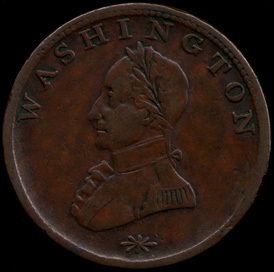 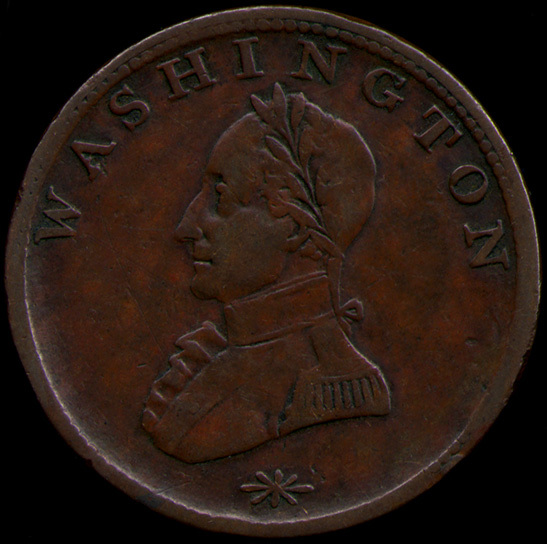 The busts are almost identical and closely imitate the Washington Large Military Bust Token, except the large bust token has a button on the collar whereas this variety has a plain collar.